The tea tastes a bit salty. 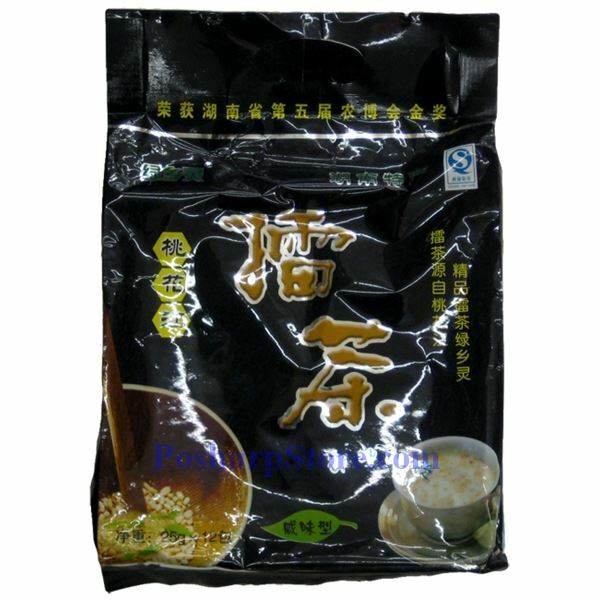 It can be consumed directly, or can be put into rice and eaten with vegetables or dried radish. A classic version is grinded from raw rice, raw tea and raw ginger. Today, it may be made from sesame, green tea powder, peanuts, beans, pearl barley, lotus seeds, pumpkin seeds, pinenut kernels, or even different grains. Why not taste out by yourself what this awarded tea is maded from?